Best remembered today as the creator of Peter Pan, The Scottish author and dramatist, Sir James Matthew Barrie, 1st Baronet, OM was born 9 May 1860 in Kirriemuir, he was the child of a family of small-town weavers. At the age of 8, Barrie was sent to The Glasgow Academy, Scotland, in the care of his eldest siblings Alexander and Mary Ann, who taught at the school. When he was 10 he returned home and continued his education at the Forfar Academy. At 14, he left home for Dumfries Academy, again under the watch of Alexander and Mary Ann. He became a voracious reader, and was fond of Penny Dreadfuls, and the works of Robert Michael Ballantyne and James Fenimore Cooper. At Dumfries he and his friends spent time in the garden of Moat Brae house, playing pirates “in a sort of Odyssey that was long afterwards to become the play of Peter Pan”.They formed a drama club, producing his first play Bandelero the Bandit, which provoked a minor controversy following a scathing moral denunciation from a clergyman on the school’s governing board. Barrie wished to follow a career as an author, but was dissuaded by his family who wanted him to have a profession such as the ministry. With advice from Alec, he was able to work out a compromise: he was to attend a university, but would study literature. He enrolled at the University of Edinburgh, where he wrote drama reviews for the Edinburgh Evening Courant. He graduated and obtained a M.A. on 21 April 1882. He worked for a year and a half as a staff journalist on the Nottingham Journal following a job advertisement found by his sister in The Scotsman, then returned to Kirriemuir, using his mother’s stories about the town (which he renamed “Thrums”) for a piece submitted to the newspaper St. James’s Gazette in London. The editor ‘liked that Scotch thing’, so Barrie wrote a series of them, which served as the basis for his first novels: Auld Licht Idylls (1888), A Window in Thrums (1890), and The Little Minister, which eventually established Barrie as a successful writer. After the success of the “Auld Lichts”, he printed Better Dead (1888) privately and at his own expense, and it failed to sell. His two “Tommy” novels, Sentimental Tommy (1896) and Tommy and Grizel (1900), were about a boy and young man who clings to childish fantasy, with an unhappy ending. Barrie began writing for the theatre, beginning with a biography of Richard Savage and written by both Barrie and H.B. Marriott Watson, this was followed by Ibsen’s Ghost (or Toole Up-to-Date) (1891), a parody of Henrik Ibsen’s dramas Hedda Gabler and Ghosts. His third play, Walker, London (1892), helped him be introduced to a young actress named Mary Ansell. He proposed to her and they were married on 9 July 1894. Barrie bought her a Saint Bernard puppy, who would play a part in the novel The Little White Bird (or Adventures in Kensington Gardens). He also gave Ansell’s given name to many characters in his novels. He then wrote Jane Annie, a failed comic opera for Richard D’Oyly Carte (1893), which he begged his friend Arthur Conan Doyle to revise and finish for him. In 1901 and 1902 he had back-to-back successes: Quality Street, about a responsible ‘old maid’ who poses as her own flirtatious niece to win the attention of a former suitor returned from the war; and The Admirable Crichton, a critically acclaimed social commentary with elaborate staging, about an aristocratic household shipwrecked on a desert island, in which the butler naturally rises to leadership over his lord and ladies for the duration of their time away from civilisation. Peter Pan first appeared in his novel The Little White Bird, in 1902, and later in Barrie’s more famous and enduring work, Peter Pan, or The Boy Who Wouldn’t Grow Up, a “fairy play” about an ageless boy and an ordinary girl named Wendy who have adventures in the fantasy setting of Neverland. This was inspired by the Llewelyn Davis Boys whom he met in London who suggested a baby boy who has magical adventures in Kensington Gardens (included in The Little White Bird). It had its first stage performance on 27 December 1904. It has been performed innumerable times since then, and was developed by Barrie into the 1911 novel Peter and Wendy. It has since been adapted into feature films, musicals, and more. The Bloomsbury scenes show the societal constraints of late Victorian and Edwardian middle-class domestic reality, contrasted with Neverland, a world where morality is ambivalent. George Bernard Shaw’s description of the play as “ostensibly a holiday entertainment for children but really a play for grown-up people”, suggests deeper social metaphors at work in Peter Pan. Following Peter Pan Barrie had many more successes on the stage including The Twelve Pound Look which concerns a wife divorcing a peer and gaining an independent income. Other plays, such as Mary Rose and a subplot in Dear Brutus, revisit the idea of the ageless child. Later plays included What Every Woman Knows (1908). His final play was The Boy David (1936), which dramatised the Biblical story of King Saul and the young David. Like the role of Peter Pan, that of David was played by a woman, Elisabeth Bergner, for whom Barrie wrote the play. Barrie had many Freinds including Novelist George Meredith, fellow Scot Robert Louis Stevenson, who lived in Samoa at the time, George Bernard Shaw who was his neighbour in London for several years, . H. G. Wells was also a friend of many years, and Barrie met Thomas Hardy through Hugh Clifford while he was staying in London. Although Barrie continued to write Peter Pan quickly overshadowed his previous work and became his best-known work, and is credited with popularising the name Wendy, which was very uncommon previously. Barrie unofficially adopted the Davies boys following the deaths of their parents and was made a baronet by George V in 1913, and a member of the Order of Merit in 1922. Barrie died of pneumonia on 19 June 1937 and was buried at Kirriemuir next to his parents and two of his siblings. He left the bulk of his estate (excluding the Peter Pan works, which he had previously given to Great Ormond Street Hospital in April 1929) to his secretary Cynthia Asquith. His birthplace at 4 Brechin Road is maintained as a museum by the National Trust for Scotland. However, Ormond Street Hospital, continues to benefit from the somewhat complex arrangement. Europe Day is an annual celebration of peace and unity in Europe. There are two separate designations of Europe Day: 5 May for the Council of Europe, and 9 May for the European Union (EU).For the EU, the day is also known as Schuman Day, commemorating the historical declaration by French foreign minister Robert Schuman, who proposed the pooling of French and West German coal and steel. Europe Day iwas established in 1949 and is one of a number of European events designed to foster unity among Europeans. The Council of Europe was founded on 5 May 1949, and chose that day for its celebrations when it established the holiday in 1964. In 1985, the European Communities (which later became the European Union) adopted the European symbols of the Council of Europe such as the Flag of Europe. However, the Community leaders decided to hold their Europe Day in commemoration of the Schuman Declaration of 9 May 1950. The declaration proposed the pooling of French and West German coal and steel industries, leading to the creation of the European Coal and Steel Community, the first European Community, and hence is considered a principal founding moment. Hence, at the 1985 Milan European Council, 29 September was adopted as the EU’s flag day and The European Parliament formally recognised the 9 May holiday in October 2008 and it is celebrated on May 9th in most member states of the European Union and EU candidate countries such as Turkey. Due to the political nature of the day, people are taught about the European Union and the reasons to support a European integration. The flag plays a major role in general celebrations. Despite a preference for 9 May, with the European Union’s greater visibility, 5 May is still observed by some Europeans due to the Council’s role in seeking to defend human rights, parliamentary democracy, and the rule of law. In November 1981 Vince Clarke publicly announced that he was leaving Depeche Mode.Soon afterwards, Clarke joined up with blues singer Alison Moyet to form Yazoo (Yaz in the US) and later, the duo Erasure with Andy Bell. Consequently Gore became Depeche Mode’s new songwriter. In late 1981, the band placed an anonymous ad in Melody Maker looking for another musician; Alan Wilder, a keyboardist from West London, responded and was hired in early 1982. In January 1982, the band released “See You”, The Meaning of Love”, and “Leave in Silence”, ahead of the band’s second studio album A Broken Frame, which was released September 1982. Depeche Mode’s third LP was Construction Time Again, which contained the singles “Everything Counts”, a commentary on the perceived greed of multinational corporations, “The Landscape Is Changing” and “Two Minute Warning”. in March 1984 they released the single “People Are People”, which became a big hit, and has since become an anthem for the LGBT community and was regularly played at gay establishments and gay pride festivals in the late 1980s. A compilation of the same name was also released which included tracks from A Broken Frame and Construction Time Again as well as several b-sides.In September 1984, the album Some Great Reward was released and the songs on Some Great Reward were mostly concerned with more personal themes such as sexual politics (“Master and Servant”), adulterous relationships (“Lie to Me”), and arbitrary divine justice (“Blasphemous Rumours”). Also included was the first Martin Gore ballad (“Somebody”) The World We Live In and Live in Hamburg was the band’s first video release. It is an almost complete film of a concert from their 1984 Some Great Reward Tour, in Hamburg, Germany. In October 1985, a compilation, The Singles 81>85 (Catching Up with Depeche Mode in the US), was released, which included the two non-album hit-singles “Shake the Disease” and “It’s Called a Heart”. Depeche Mode’s released their fifteenth single “Stripped” in 1986 and the accompanying album Black Celebration moved away from the “industrial-pop” sound that had characterised their previous two LPs, and introduced an ominous, highly atmospheric and textured sound. Gore’s lyrics also took on a darker tone becoming even more pessimistic.the second single “A Question of Time” was directed by Anton Corbijn, beginning a working relationship that continues to the present day. Corbijn has directed a further 19 of the band’s videos (the latest being 2006’s “Suffer Well”). The next album 1987’s Music for the Masses saw further alterations in the band’s sound and contained the singles”strange love”, “Never Let Me Down Again” and “Behind the Wheel”.The Music for the Masses Tour followed the release of the album. In 1989, Depeche Mode released the singles “Personal Jesus”, and “Enjoy the Silence” which was voted’Best British single’ at the 1991 Brit Awards, and was followed by The new album Violator. Two more singles from the album “Policy of Truth” and “World in My Eyes” we’re also released. In 1991, Depeche Mode contribution, “Death’s Door” was released on the accompanying Warner Brothers album, Until the End of the World: original motion picture soundtrack for the film Until the End of the World. Musical artists were challenged by film director Wim Wenders to write music the way they imagined they would in the year 2000, the setting of the movie. Around 1992 Dave Gahan became interested in the new grunge scene sweeping the U.S. and was influenced by the likes of Jane’s Addiction, Soundgarden and Nirvana and In 1993 they released the album Songs of Faith and Devotion, featuring the grunge influenced single ” I Feel You” and the Gospel influenced “Condemnation”.The Devotional world tour followed. It was documented by a concert film of the same name. The film was directed by Anton Corbijn and earned the band their first Grammy nomination.The band’s second live album, Songs of Faith and Devotion Live, was released in December 1993. Sadly Dave Gahan’s heroin addiction was starting to affect his behaviour, causing him to become more erratic and introverted. Martin Gore experienced seizures and Andy Fletcher declined to participate in the second half of the Exotic Tour due to “mental instability”. Then In June 1995, Alan Wilder announced that he was leaving Depeche Mode. Following Wilder’s departure, many were sceptical of whether Depeche Mode would ever record again. Gahan’s mental state and drug habit became a major source of concern, with a near-fatal overdose at a hotel in Los Angeles. Despite Gahan’s increasingly severe personal problems, Gore tried repeatedly during 1995 and 1996 to get the band recording again. In mid-1996, Gahan entered a court ordered drug rehabilitation program to battle his cocaine-heroin addiction after his near fatal overdose.With Gahan out of rehab in 1996, Depeche Mode held recording sessions . The album Ultra was released in April 1997, which contained the singles, “Barrel of a Gun”,”It’s No Good”, “Home” and “Useless”.A second singles compilation The Singles 86–98 was released in 1998, preceded by the new single “Only When I Lose Myself”, which had been recorded during the Ultra sessions. In 2001, Depeche Mode released the album Exciter, containing the singles. “Dream On”, “I Feel Loved”, “Freelove” and “Goodnight Lovers”. Then In October 2002 the band won the first-ever Q magazine “Innovation Award”.In 2003 Dave Gahan released his first solo album, Paper Monsters. Also released in 2003 was Martin Gore’s second solo album Counterfeit². Andrew Fletcher also founded his own record label.A new remix compilation album Remixes 81–04 was released in 2004, featuring new and unreleased promo mixes of the band’s singles from 1981 to 2004. Including a new version of “Enjoy the Silence”. In October 2005, the band released their 11th studio album Playing the Angel, featuring the singles “Precious”, “Suffer Well” and “John the Revelator”, an uptempo electronic track with a running religious theme and”Lilian”, a lush track that was a hit in many clubs all over the world.Depeche Mode toured in 2005 and headlined a number of festivals including the Coachella Valley Music and Arts Festival and the O2 Wireless Festival. A “best-of” compilation was released in 2006, entitled The Best Of, Volume 1 featuring a new single “Martyr”, Depeche Mode received the MTV Europe Music Award in the Best Group category. Depeche Mode’s12th studio album Sounds of the Universe.was released in 2009, containing the singles Wrong, Peace, Fragile Tension/Hole to feed and Perfect.The album went to number one in 21 countries. Critical response was generally positive and it was nominated for a Grammy in the “Best Alternative Album” category. Depeche Mode also performed on “Jimmy Kimmel Live!” in the Hollywood Boulevard in Los Angeles on 23 April 2009, The band headlined the Lollapalooza festival in 2010 and played a show at London’s Royal Albert Hall in aid of the Teenage Cancer Trust, where former member Alan Wilder joined Martin Gore on stage for a performance of “Somebody”. In 2010, Depeche Mode also won the award for “Best International Group – Rock / Pop” at the ECHO Awards in Germany. In 2011, the band released a remix compilation album, entitled Remixes 2: 81–11 that features remixes by former members Vince Clarke and Alan Wilder and remixes by Nick Rhodes, Röyksopp, Karlsson & Winnberg of Mike Snow, Eric Prydz, Clark and more.A new remix of “Personal Jesus” by Stargate, entitled “Personal Jesus 2011”, was released. Depeche Mode covered the U2 song “So Cruel” on the tribute album AHK-toong BAY-bi To mark the 20th anniversary of Achtung Baby, a 1991 album by U2. The compilation CD was released in 2011.in March 2013 Depeche Mode released Delta Machine, containing the songs “soothe My Soul” and”Heaven”. In March 2014, Depeche Mode won the award for “Best International Group – Rock / Pop” at the ECHO Awards in Germany. Also they were nominated at the category “Album des Jahres (national oder international)” for Delta Machine, but lost against Helene Fischer Farbenspiel. On the 9th May 1904, The steam locomotive City of Truro unofficially becomes the first steam engine in Europe to exceed 100 mph (160 km/h). GWR 3440 (3717) City Of Truro is a Great Western Railway (GWR) 3700 (or ‘City’) Class 4-4-0 locomotive, designed by George Jackson Churchward and built at the GWR Swindon Works in 1903. (It was rebuilt to a limited extent in 1911 and 1915, and renumbered 3717 in 1912). It is one of the contenders for the first steam locomotive to travel in excess of 100 miles per hour (160.9 km/h). City of Truro was timed at 8.8 seconds between two quarter-mile posts whilst hauling the “Ocean Mails” special from Plymouth to London Paddington on 9 May 1904. This timing was recorded from the train by Charles Rous-Marten, who wrote for The Railway Magazine and other journals. If exact (Rous-Marten’s stopwatch read in multiples of 1/5 second), this time would correspond to a speed of 102.3 mph (164.6 km/h), while 9 seconds would correspond to exactly 100 mph. Initially, mindful of the need to preserve their reputation for safety, the railway company allowed only the overall timings for the run to be put into print; neither The Times report of the following day nor Rous-Marten’s article in The Railway Magazine of June 1904 mentioned the maximum speed. However the morning after the run two local Plymouth newspapers did report that the train had reached a speed between 99 and 100 miles an hour whilst descending Wellington bank in Somerset. This claim was based on the stopwatch timings of a postal worker, William Kennedy, who was also on the train. After the 1904 speed record, 3440 continued in everyday service until it was rendered obsolete in 1931, being withdrawn from service in March that year. The historical significance of City of Truro led to the locomotive’s survival after withdrawal from service, with the GWR’s Chief Mechanical Engineer Charles Collett asking that the engine be preserved at the London and North Eastern Railway’s Railway Museum at York when she was withdrawn in 1931, after the directors of the GWR had refused to preserve the engine at the company’s expense. It was donated to the LNER, being sent from Swindon on 20 March 1931, and was subsequently displayed at the new museum in York. In 1957 City of Truro was returned to service by British Railways Western Region. The locomotive was based at Didcot, and was used both for hauling special excursion trains and for normal revenue services, usually on the Didcot, Newbury and Southampton line, and was renumbered back to 3440, and repainted into the ornate livery it carried at the time of its speed record in 1904, despite this being inaccurate due to its minor rebuilding in 1911. She was withdrawn for a second time in 1961. She was taken to Swindon’s GWR Museum in 1962 where, renumbered back to 3717 and in plain green livery with black frames, she stayed until 1984, when she was restored for the GWR’s 150th anniversary celebrations the following year. After that she returned to the National Railway Museum from where she was occasionally used on main line outings. She made a guest appearance in an exhibition called National Railway Museum on Tour which visited Swindon in 1990. Her latest restoration to full working order was undertaken in 2004, at a cost of £130,000, to mark the 100th anniversary of her record-breaking run, and the loco has subsequently hauled several trains on UK main lines, although due to the lack of certain safety features she no longer operates on the main line. Her latest restoration to full working order was undertaken in 2004, at a cost of £130,000, to mark the 100th anniversary of her record-breaking run, and the loco has subsequently hauled several trains on UK main lines, although due to the lack of certain safety features she no longer operates on the main line. 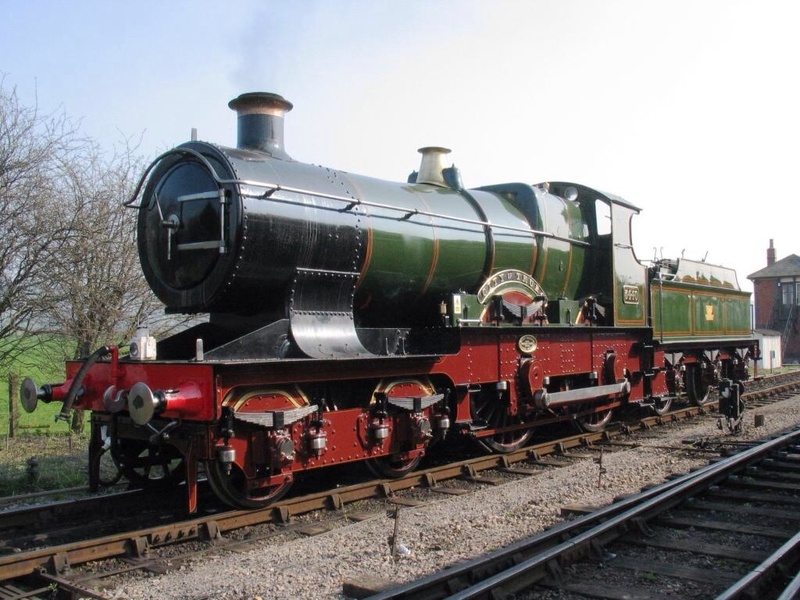 City of Truro is now based semi-permanently at the Gloucestershire Warwickshire Railway, where she can often be seen hauling trains between Toddington and Cheltenham Racecourse. However she frequently leaves her Toddington base to visit other UK heritage railways. In 2010 as part of the celebrations to mark the 175th anniversary of the founding of the GWR City of Truro was repainted and took up its 3717 guise once again. This is the first time it has carried an authentic livery for its current state whilst operating in preservation.GWR 3717 was withdrawn from traffic at the Bodmin & Wenford Railway in early September 2011 with serious tube leaks, and was moved to Shildon Locomotion Museum and placed on static display (I was lucky enough to see it in steam at the Severn Valley Railway’s 2008 Autumn Steam Gala). The figure who later became Mr. Punch made his first recorded appearance in England On 9th May 1662? 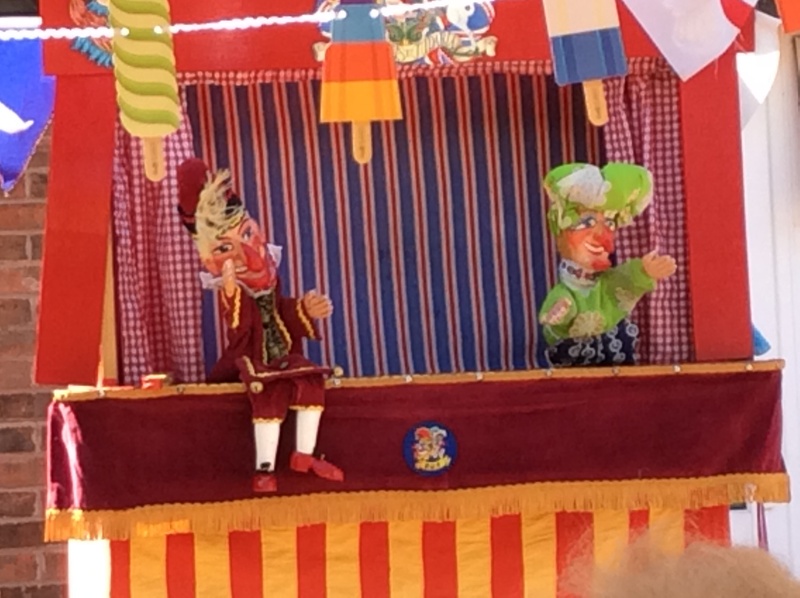 Punch and Judy is a traditional, popular puppet show featuring the characters of Mr. Punch and his wife, Judy. The performance consists of a sequence of short scenes, each depicting an interaction between two characters, most typically the anarchic Punch and one other character. It is often associated with traditional English seaside culture. The show is performed by a single puppeteer inside the booth, known since Victorian times as a “Professor” or “Punchman,” and assisted sometimes by a “Bottler”, who corrals the audience outside the booth, introduces the performance and collects the money (“the bottle”). The Bottler might also play accompanying music or sound effects on a drum or guitar and engage in back chat with the puppets, sometimes repeating lines that may have been difficult for the audience to understand. In Victorian times the drum and pan pipes were the instruments of choice. Today, the audience is also encouraged to participate, calling out to the characters on the stage to warn them of danger, or clue them into what is going on behind their backs. Also nowadays most Professors work solo since the need for a bottler became less important when busking with the show gave way to paid engagements at private parties or public events.The Punch and Judy show has roots in the 16th-century Italian commedia dell’arte. The figure of Punch derives from the Neapolitan stock character of Pulcinella, which was anglicised to Punchinello. He is a manifestation of the Lord of Misrule and Trickster figures of deep-rooted mythologies. Punch’s wife was originally called “Joan.”In the British Punch and Judy show, Punch wears a brightly colored jester’s motley and sugarloaf hat with a tassel. He is a hunchback whose hooked nose almost meets his curved, jutting chin. Compliance produces passivity in an antagonistic environment.